I thought the XFR looked pretty upmarket until I drove through Knightsbridge on Saturday night. The taxi driver said most of the Ferraris and Bentleys on show belonged to Arabs, who were his ‘best customers’. The streets were packed with every kind of exotica bearing Middle eastern plates – the last time I saw anything like it was in Dubai, where even the police drive Porsche and Lamborghini patrol cars. The favourite cars I spotted in the capital were a gold-wrapped Ferrari and a Rolls-Royce covered in velvet. How the hell does the owner keep that clean? I can’t say my family has ever owned a Jaguar. Well, apart from my own E-Type but that was hardly an everyday sort of car and spent most of its life being cossetted in an inflatable bubble. Shameful. In fact, the closest my father ever came to a Jaguar was when he had ‘a coming together’ with the newspaper proprietor, Eddie Shah. We were pulling out of a junction when Shah’s Jag, indicating left, decided to drive straight on. I was about ten at the time and I just remember that Shah stepped out of the Sovereign wearing yeti boots. They obviously made quite an impression. I think my father would have cringed driving the XFR. Not because it isn’t a good car but he was the sort of chap who kept a notebook in the glovebox and wrote down every drop of fuel he ever bought. 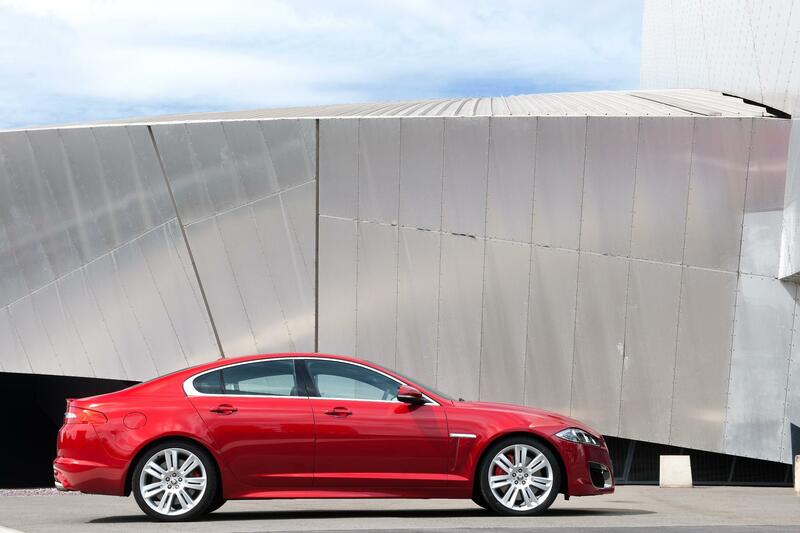 There is something ridiculously Jekyll and Hyde about the XFR. Sorry to keep going on about it but for a car that looks so ‘normal’, it has a quite outrageous turn of speed. This is most apparent when you want to overtake. With 500bhp grumbling away under the bonnet, it only takes a tiny tweak of the accelerator for things to start happening. I’ve been riding a Kawasaki motorbike around this week on test. It is also rapid at passing a car but the XFR, well, it’s in a different league – and you can listen to the thumping Meridian hifi at the same time. On a windy day like today, you want to be driving a car shaped like a stealth missile. Can I recommend the XFR then? Last week we tested the Range Rover Sport and, as wonderful as it was, like all Range Rovers it still has the aerodynamics of a very expensive brick. Drive it at high speed in a crosswind and you will feel the earth move. 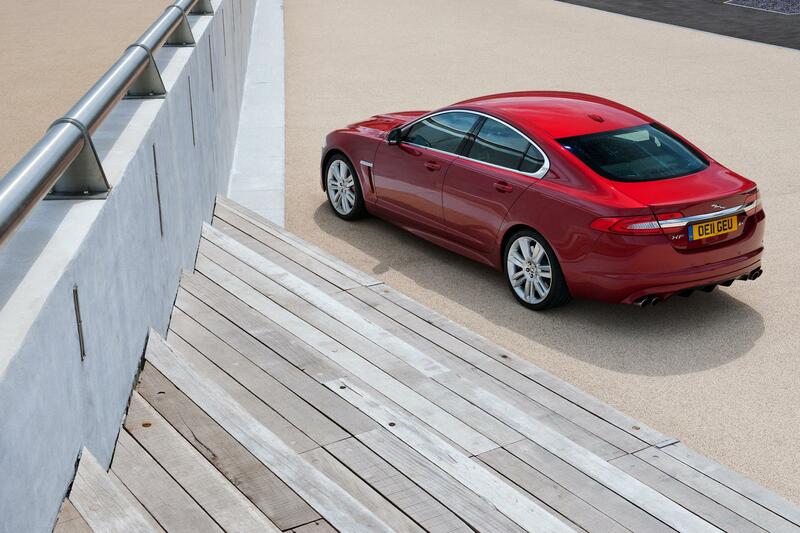 The XFR, on the other hand, feels as tight on the road as a Scalextric car. 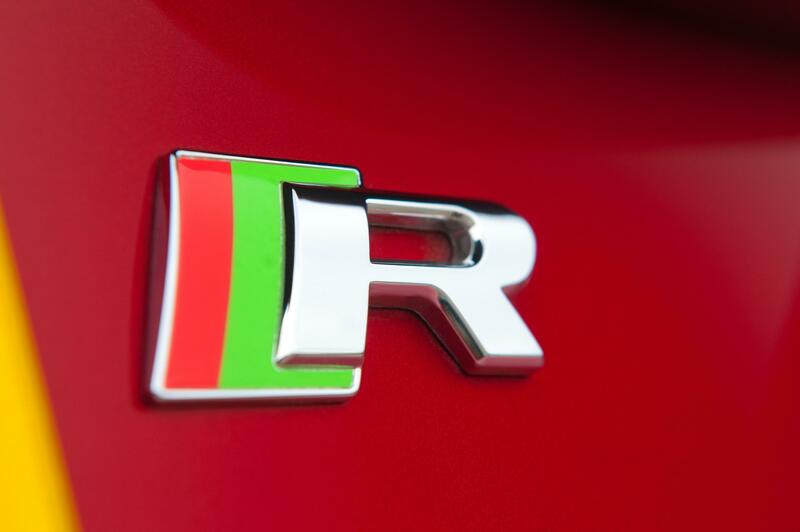 The ‘R’ has been tweaked to create extra downforce too, so even when you push it hard, it sits beautifully on the road. The only wind you will feel on the inside is from the four air vents on the dashboard, which have covers that open automatically when you turn the key in the ignition. It’s like something from Star Trek and very, very cool. 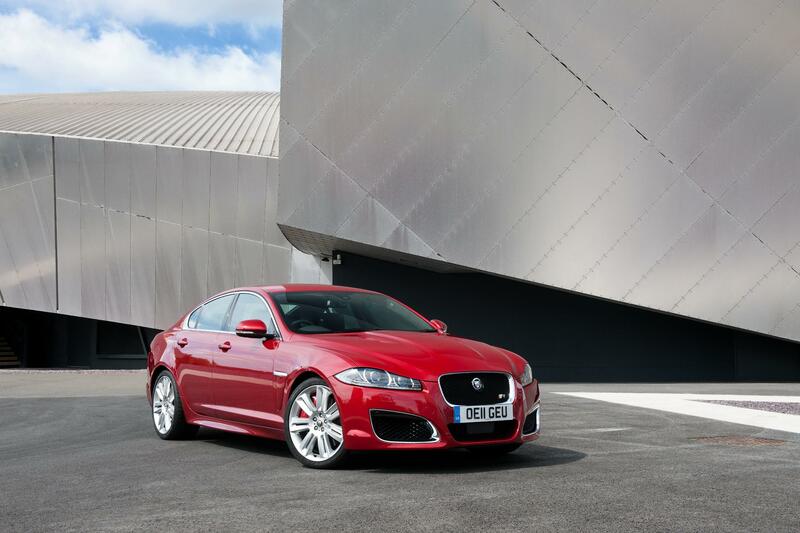 Jaguar XFR – More Sinister Than An Audi Q7? 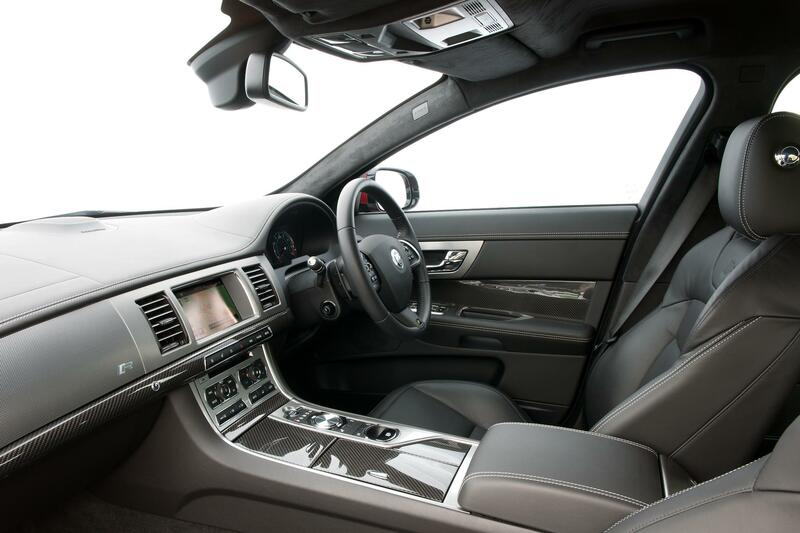 It’s a subtle make-over compared to the brutish BMW M5 but all the usual stuff is there. Features like four exhaust pipes, a black front grille, chrome side window surrounds and red brake calipers. Some drivers want to shout about the performance of their car but this being a Jaguar, it’s much less obvious and rather more refined.